In 1996 a symbiotic relationship was set up in the public gallery space of Beaconsfield between visual artists David Crawforth and Hayley Newman and sound artists Mika Vainio and Ilpo Väisänen – Pan Sonic. All four worked daily for five weeks linked by sound inputs and outputs. The live installation featured an industrial power climber, a video oscilloscope, Pan Sonic’s precious sound machine, the typewriter, and the original prototype for turbosound’s earth-shaking floodlight PA system. Rude mechanicals were unskilled assistants used in early medical operations who performed rudimentary tasks such as restraining and muffling un-anaesthetised patients as well as catching their dismembered body parts and fluids in buckets. 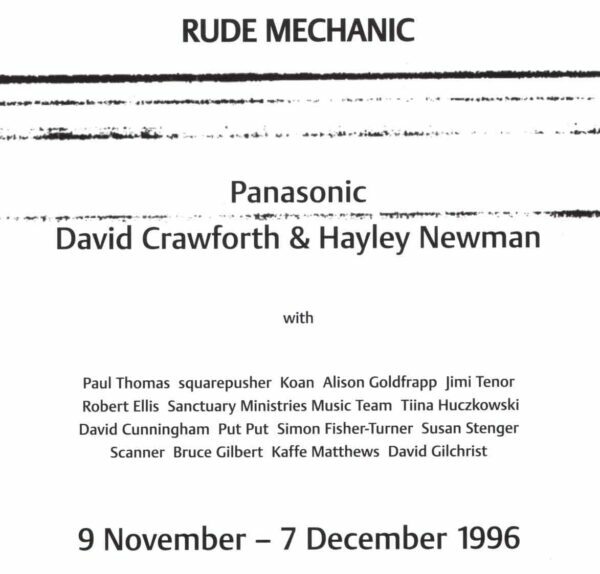 Using this occupation as a motif, Crawforth and Newman inhabited and evolved the physical environment and Pan Sonic monitored the sounds of that activity, feeding in their own analogue compositions. The process was animated by the input of invited musicians and artists, each making a six hour injection into the mutating sound environment. 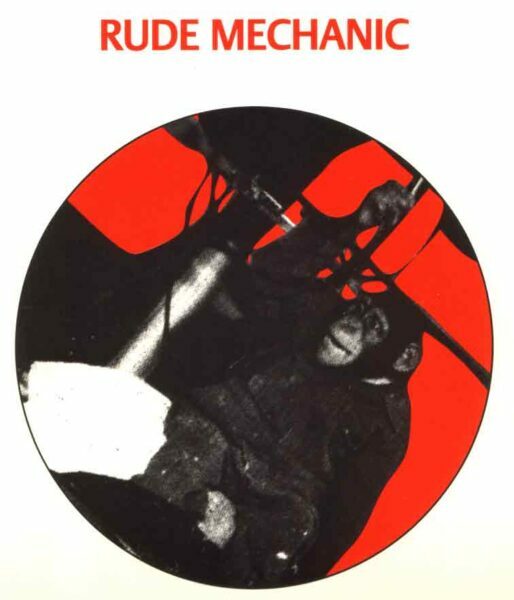 Contributors generously became absorbed within the rude mechanic process which strove to transcend the individual.